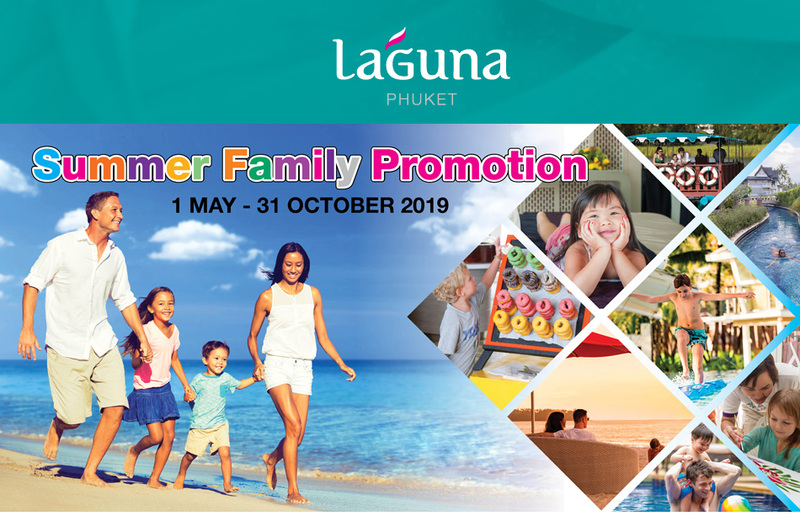 Laguna Phuket's Summer Family Promotion is a trove of extra benefits and added value for all Laguna hotel guests at Angsana Laguna Phuket , Angsana Villas Resort Phuket , Banyan Tree Phuket , Cassia Phuket , Dusit Thani Laguna Phuket , Laguna Holiday Club Phuket Resort and Outrigger Laguna Phuket Beach Resort . The promotion includes free dining for kids, free kids’ golf, free Laguna Tours Excursions and extra beds*. • Applicable only for children aged under 12 of registered in-house guests only. • Promotion is not available on in-room dining menus and minibar. • Promotion cannot be used in conjunction with any other discounts or promotions. • Promotion is applicable to all bookings (except complimentary bookings from Laguna Holiday Club Resort). *Except breakfast at Outrigger Laguna Phuket Beach Resort.